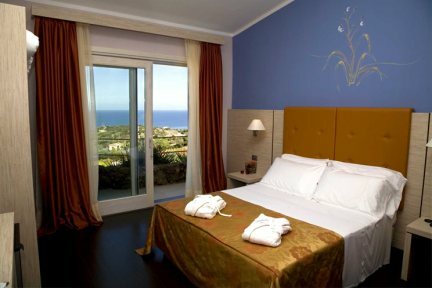 The Bajaloglia Resort is perched on the hillside high above Castelsardo, a historic town with a cliff top castle renowned for its natural beauty and ancient traditions. Access up to this small, family run hotel is via a long, steep driveway and, while the gradient of the incline is not for the faint-hearted, once reached, the magnificent panoramic views over the town and sea below will quite simply take your breath away. Of modern design with arty touches, the hotel has a large open plan restaurant with indoor and outdoor seating providing good quality local and international cuisine and an á la carte menu. An adjacent bar area leads out to the garden with medium sized pool where there are ample sun loungers and quirky seating areas from which to admire the view. Beyond the pool there are 20 bungalow style rooms which are spread throughout the garden along stone pathways; each of these has a sea view and small balcony and is equipped with modern furnishings. This resort offers a quiet and comfortable location and is ideal for couples looking for a relaxing break in a truly picturesque setting. Swimming pool and hydromassage tub, restaurant, air conditioning, Wi-Fi. Minibar, shower, pay TV, telephone, air conditioning, balcony, bathroom amenities, satellite TV, hairdryer, Wi-Fi. Classic Rooms are characterized by comfort and technology and decorated with a modern design. 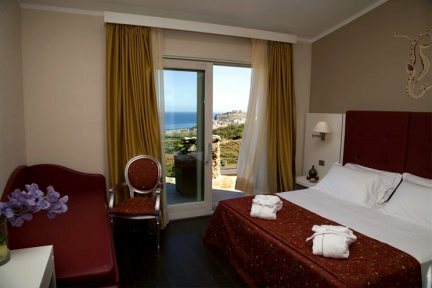 Superior Rooms are beautifully decorated in a typical Mediterranean style and with a modern design. Junior suites are characterized care of details, decorated with warm colours and modern design. Facilities include minibar, satellite TV, Pay TV, telephone, air-conditioning, balcony, slippers, bathrobe, hairdryer, work desk, and free Wi-Fi. 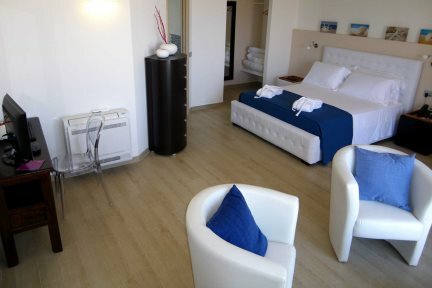 Junior suites are characterized by modern design and care of details, comfort and technology. 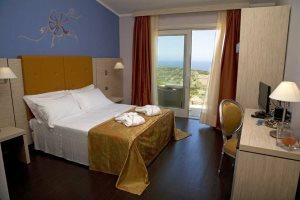 Junior Suites are equipped with a private terrace overlooking the sea, and a private bathroom with whirlpool bath. Facilities include minibar, satellite TV, Pay TV, telephone, air-conditioning, balcony, slippers, bathrobe, hairdryer, work desk, free Wi-Fi, and beach towels. The picturesque village of Castelsardo is situated on the north coast of Sardinia in the Gulf of Asinara. The town is dominated by the medieval castle which dates from the 12th century and offers fantastic views over the Gulf. There is a wide variety of shops bars and restaurants. The area is famous for basket weaving a craft which is still evident today as you wander through the narrow streets of the old town. A visit to the old town, the castle and the cathedral are a must. Further afield, there is the famous elephants rock and the area is richly covered with nuraghe. Boat trips to the Asinara Island also make a great day out. The rocky coastline is dotted with fine beaches including Lu Bagnu and the beaches of Badesi and Isola Rossa. A small sandy beach in the resort of Lu Bagnu, accessible through a flight of stairs. 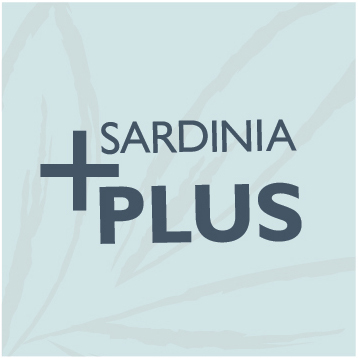 It has been awarded with 'Blue Flag' since 2011.